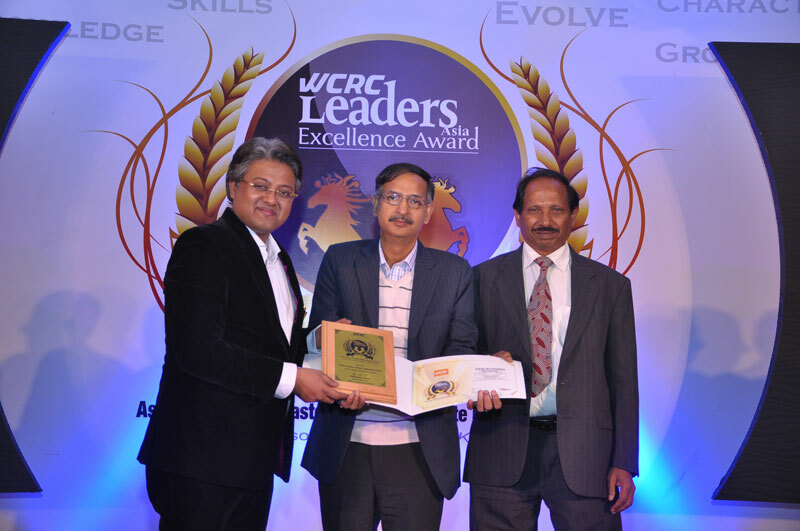 ICFAI Business School (IBS), Hyderabad has been awarded the WCRC Leaders Asia Excellence Award under “Best Private Education Institute 2012-13” in the Business School, Category by the World Consulting & Research Corporation. The other Schools that won the Award are: SP Jain Institute of Management and Research, MDI and Symbiosis. Some of the participants in the contest are Indian School of Business-India, INSEAD-Singapore, Asia Institute of Management-Philippines, Allied Institute of Management Studies-Dubai, Cass Business School- Dubai. World Consulting & Research Corporation (WCRC) decided to feature ‘Asia’s 100 best and fastest growing private educational Institutes 2012-13'.The initiative was to list the best of learning institutes, ranging from basic primary and secondary schools to the most specialized centers of higher learning. The regions covered were South Asia, South East Asia and GCC. The entire process was validated by their partners and process advisors and evaluators, KPMG, India. The executive council for the Asia's Best and fastest growing Private Institutions included CEOs, Marketing heads, leading educationists and luminaries from allied fields. World Consulting & Research Corporation (WCRC) is a multi dimensional consulting company with core values of innovation and intelligence that builds brand value. It is in the businesses of Management Consulting, Strategy Consulting, Brand Architecture, Image Management, Sports Marketing, Sponsorships, HR Consulting, Research, Investments, Mergers & Acquisitions, Alliances and Joint Ventures and other business advisory. They have their operations in India, Singapore, Melbourne, Dubai & London. IBS, Hyderabad, a constituent of ICFAI Foundation for Higher Education is declared as Deemed University under section 3 of UGC Act 1956. Within a short span of time since it was established in 1995, IBS Hyderabad has grown impressively and achieved widespread recognition from industry, academic circles and professional bodies. It is a premier business school that has been consistently ranked by independent rating agencies as one of the top 10 B – Schools of India. It is one of the first Business Schools in South Asia to receive the prestigious SAQS accreditation. NAAC, an autonomous institute of University Grants Commission has also awarded the Certificate of Accreditation to The ICFAI Foundation for Higher Education.